A profitable option for producers growing their own grains. On-Farm Manufacturing of Poultry Feeds. For more than 55 years, Grand Valley Fortifiers has been helping to develop and revolutionize the poultry industry. GVF is now actively providing Poultry Farmers in Ontario and the Maritimes with advanced animal nutrition products for improved human health. While our range of poultry nutrition products is continually updated and improved our goal of enabling producers to obtain the best possible production, at the lowest possible cost, remains the same. Learn more about our poultry products below. BioForce® Premixes and Starters are high performance products incorporating the latest in organic acid blends, herbal extract blends, enzymes and probiotics. Higher proportions of chelated trace minerals and optimum levels of amino acids provide for increased lean yield of today’s exacting genetics. This product lineup allows for the production of performance orientated, cost effective, on-farm manufactured feeds with a focus on a strong average daily gain and feed conversion. Enriched with high levels of vitamins and trace minerals and a full comliment of B vitimins. Designed for the future of poultry production with less reliance on in-feed antibiotics. Contains phytase to improve nutrient digestibility of feeds and reduce phosphorus efflant in the animal. Provides a balanced amino acid profile. The proper development of the pullet has a major impact on egg production and feed efficiency. 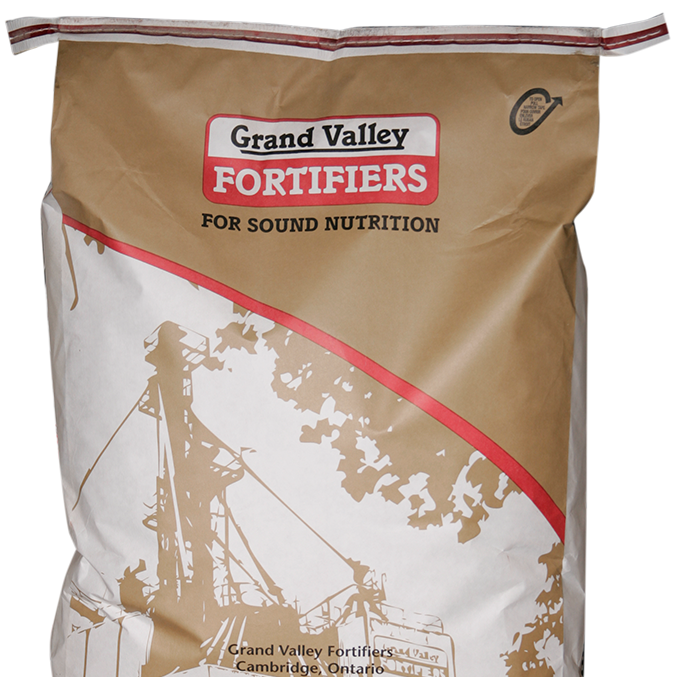 To achieve a desirable pullet, Grand Valley Fortifiers has formulated a highly fortified Chick/Pullet Power Pac MK 10 Premix and is designed specifically to help the bird develop and prepare for the onset of lay.